After a life long dream of living in Colorado, Dr. Scott and his family decided that it was time to make the move, and acquired Compass Chiropractic in Lafayette. Prior to the move he owned a thriving family practice, Vander Weit Chiropractic, in Illinois since January of 2007. One of his goals is to change the way people think about chiropractic care. 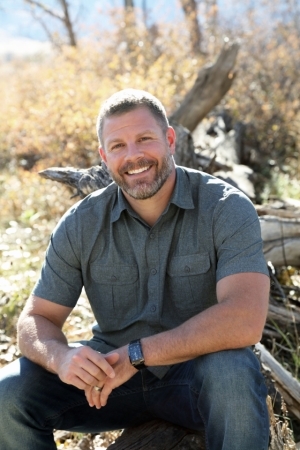 He wants to help people understand that it's more than just neck and back pain, it's about restoring your nervous system and restoring your life! That is why he is so passionate about taking care of families...ESPECIALLY children. Many of the health issues children experience today can be helped with chiropractic care rather than less effective traditional care, most of which has negative side effects. It's because of this that Dr. Scott decided to take additional training in treating kids, as well as pregnant moms, and pursue his Pediatric Certification through the International Chiropractic Pediatric Association. Dr. Scott came across chiropractic when he was in high school. During his football career he was 'sidelined' due to constant lower back pain. The only way he knew how to 'deal' with the extreme low back pain and still be able to play was to load up on Advil...sometimes 12 a day! Realizing this was only masking his symptoms and not correcting the cause of the problem, he decided to seek out a more natural method of pain relief and healing. He saw the town chiropractor, and by getting adjusted on a regular basis his low back pain was gone and he was able to stop taking all the Advil that was tearing apart his stomach. After high school Dr. Scott attended University of Illinois Champaign-Urbana where he majored in Earth Science/Environmental Resources. That quickly changed when his older brother, who was currently enrolled at Palmer Chiropractic College, would come home and share his enthusiasm about chiropractic and how it can help people. Dr. Scott wanted to have that passion about his own career so he headed off to Palmer College in Davenport, IA. While attending Palmer College, his most memorable experience was when he was able to participate in a clinic abroad program to Fiji. Dr. Scott along with 30 other students and doctors got to participate in bringing the power of chiropractic to the local Fijian villages and schools. In his spare time Dr. Scott enjoys spending time with his wife Brooke (his high school sweetheart), and their children Paige, Trey, and Cole (all three children have been adjusted since birth and have yet to need medical care for any health issues thanks to continuous chiropractic care). He also loves being outdoors, camping, live music, and spending time with friends...all the more reasons to live in Colorado. Dr. Scott is truly dedicated to helping your family live a GREAT life through Chiropractic Care!